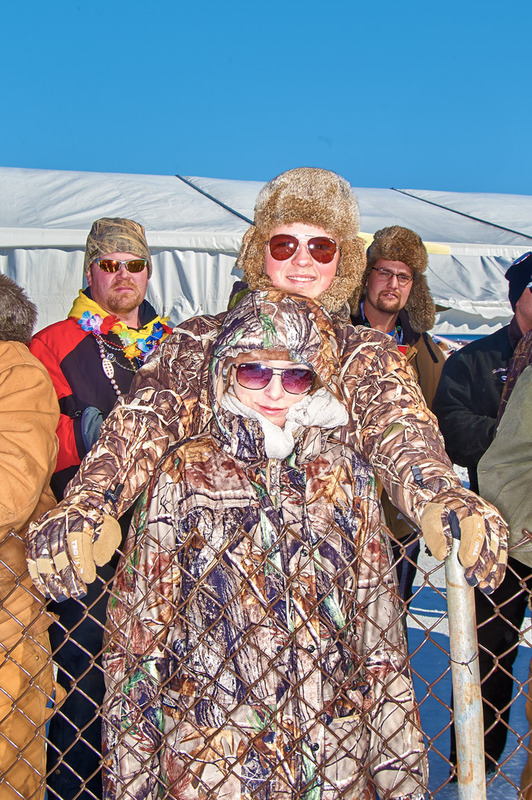 Participants of the world famous Eel Pout festival held the last weekend of February in Walker, Minnesota during the winter of the Polar Vortex. The days temp, a solid -20 below 0. For the past 37 years, and for three days every February, crowds that are more than 10 times the population of tiny Walker, Minn. (pop. 1,069) gather on Minnesotaâs third largest lake (112,000-acres), Leech Lake, for a festival named for one of the ugliest bottom-dwelling fish, the eelpout. In a state where it is common to embrace the quirky and find great fun in the most unlikely circumstances and weather conditions, this festival is pure Minnesota fun.